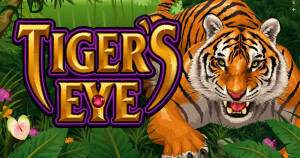 Tiger’s Eye is a 5 reel and 40 pay-lines Online Pokies from Microgaming. It comes with stacked wilds, paying scatters and free spins that will end with a 10x multiplier for winning combinations. 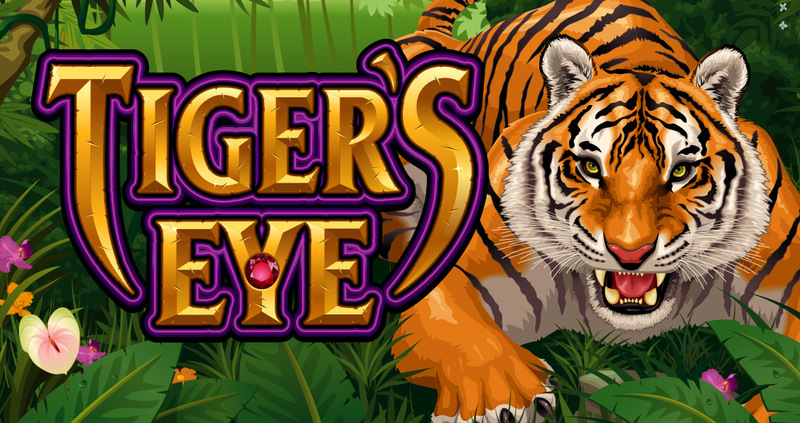 Tiger’s Eye pokie will fascinate the players deep into the Indian jungle that is the home to exquisite and vicious tigers, in whose eyes rest the mythical virtues of good lavishness. This game has only three coin sizes, 0.01, 0.02 and 0.05 credits, plus you can also select from one to five coins per pay-lines. Players get the minimum bet of 0.40 credits per spin and up to the maximum bet of 10.00 credits per game if they play all the pay-lines. All the game’s symbols play and make payouts from left to right, in exception of the Gold Tiger Scatter which plays anywhere on the reels. The two special symbols are the Tiger itself and the Tiger’s Eye Logo. The Stacked Wild symbol is the Tiger’s Eye logo and it substitutes other symbols except the Tiger. The Tiger is the Scatter symbol. The Tiger’s Eye symbol has two functions. 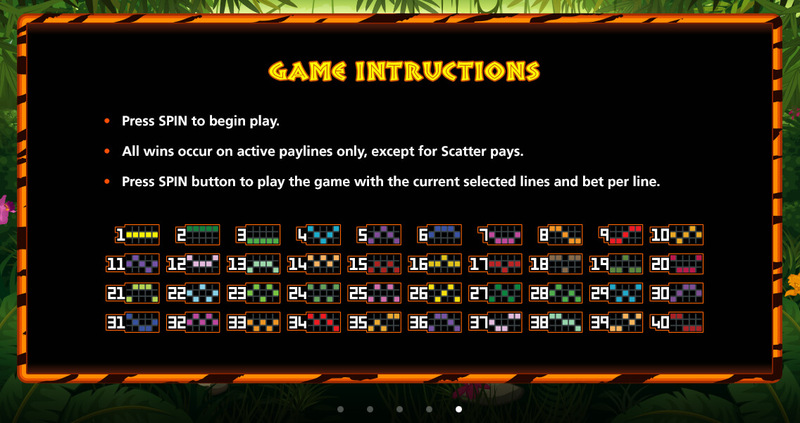 It rewards players with scatter pays and also triggers the Free Spins feature. 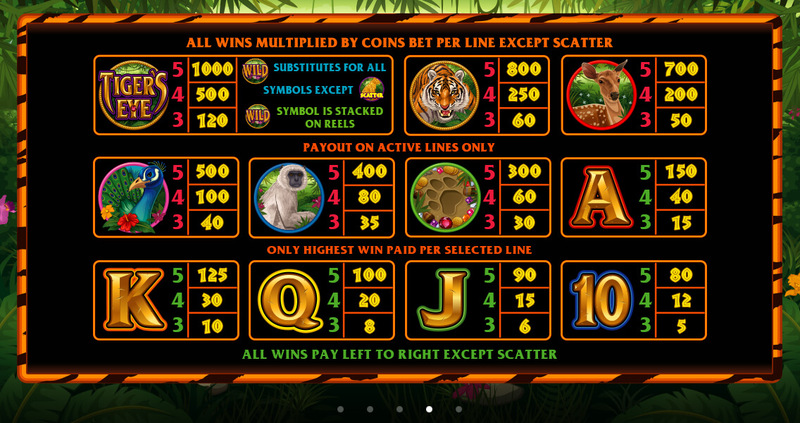 When five Tigers appear scattered on the reels, players will enjoy a 200x multiplier on their total bet. Scattered wins are always added to pay-line wins. 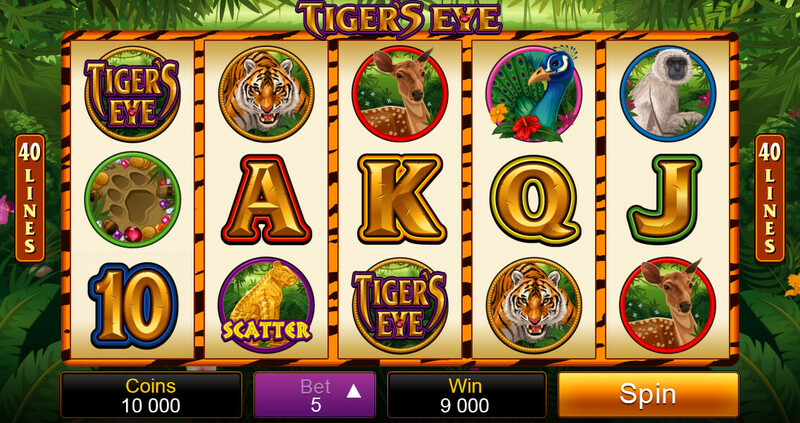 10 free spins will be triggered when three or more Tiger symbols appear anywhere on the reels. 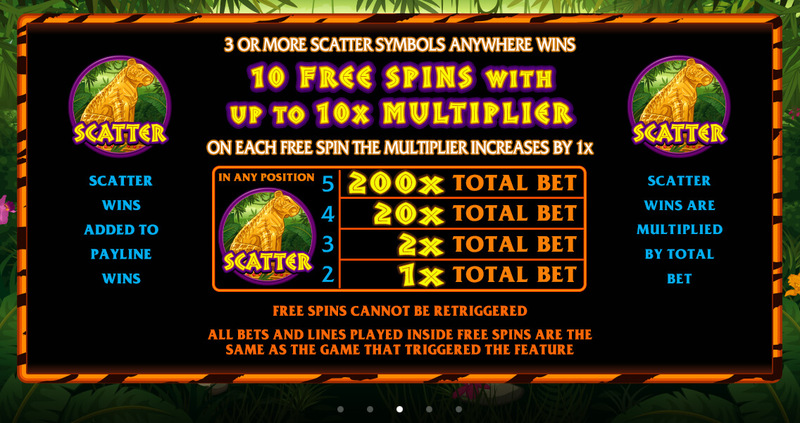 The multiplier increases gradually per spin, starting from 1X until 10X on the last spin. This feature cannot be re-triggered. Head to Golden Rivera Online Casino and play this awesome online pokies machine for a wild adventure in its Stacked Wilds and Free Spins Feature. Remember, this slot caters for all slot players with a wide range of betting selections to choose from; dollars, nickels and pennies just to mention a few. Tiger's Eye Pokie has fascinating Indian jungle that is filled with beautiful and vicious tigers. The vivid symbols complement the entire theme of the mythical virtues of good lavishness.